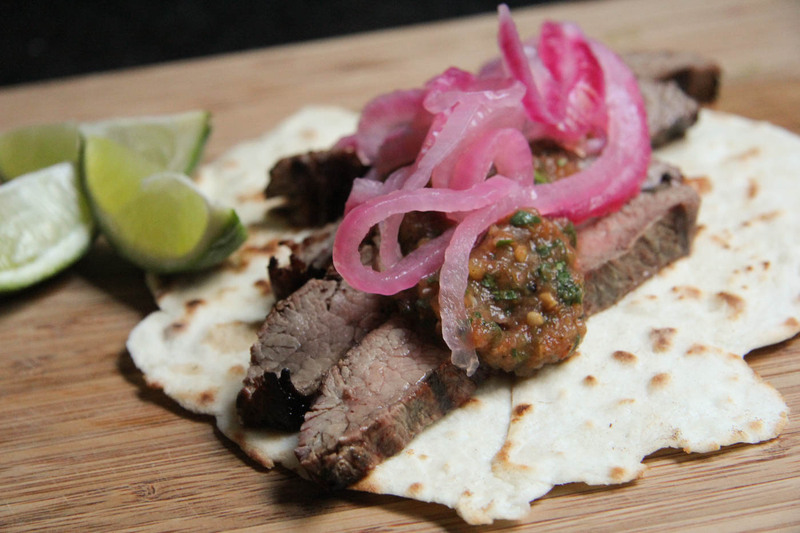 This recipe for carne asada tacos has a delicious secret – the flank steak is marinaded in beer! Sometimes there are kitchen moments where what you’ve cooked looks nothing like it did in your head or the magazine picture. And then there are those home cooking moments where your creation is so triumphant, there just aren’t enough social media outlets to share the joy and you end up fairly convinced you should open a freakin’ restaurant. This Carne Asada achievement, my friends, was one of those extreme dishes of triumph, and you should definitely try it for yourselves. The deliciousness came in the form of carne asada tacos (which literally translates to grilled meat). Though the translation is literal, there is usually a distinct recipe to create carne asada tacos, that involves lots of citrus and cilantro. 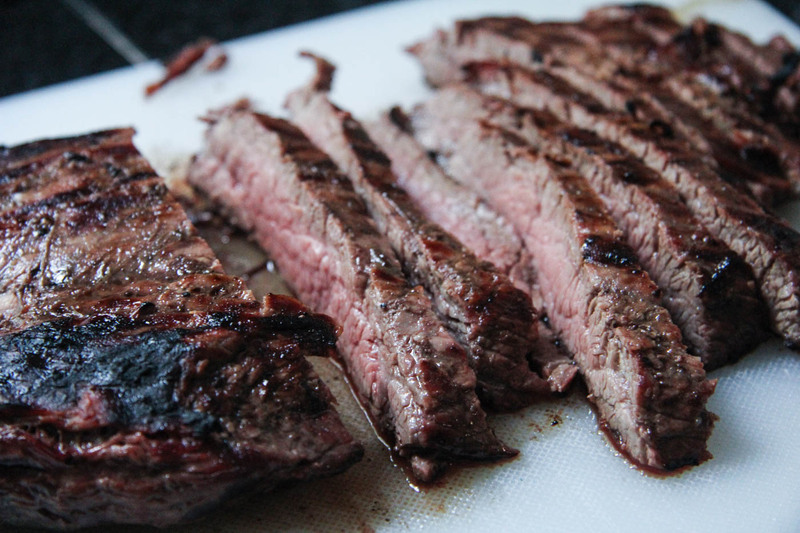 Flank steak is the most traditional cut used in Tex Mex beef cookery, it’s very thin and can be tough if not treated right, but when cooked to medium rare perfection and sliced against the grain, it’s a perfectly meaty mouthful. One thing that pairs so well when you’re eating tacos is beer. So why the heck not add it during the cooking process? Ok, there’s more to this indulgent step than meets the eye. See, beer actually acts as a tenderizer for the meat, too. So not only will it helps boost the flavor profile, but it actually helps break down the tough fibers resulting in a more delicate bite, which can be particularly helpful when using a cut like flank. Let’s just say you’re hedging your bets and giving yourself an even better chance at a perfect result. Best cooked over charcoal (that flavor, though! 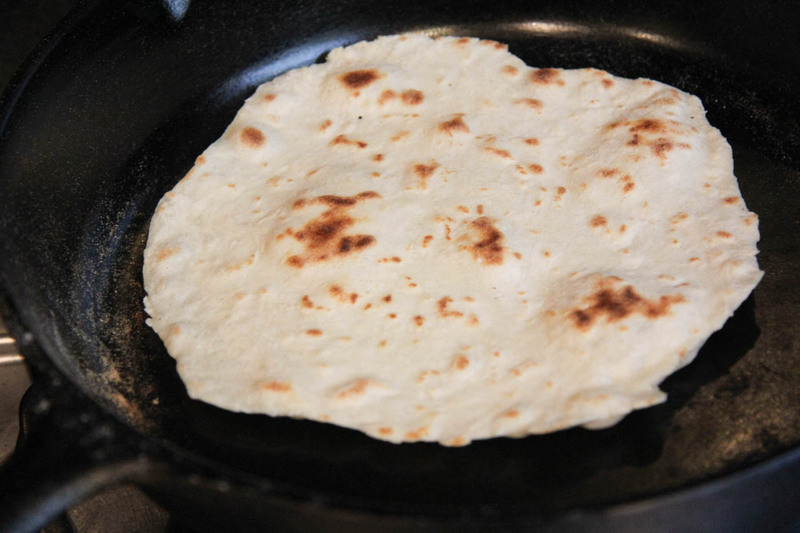 ), slice it think and serve with homemade flour tortillas (I realy like to use this brilliant recipe) then finish with a simple-but-tasty fire roasted salsa and quick pickled onions. Check out the recipe, just after the pics! 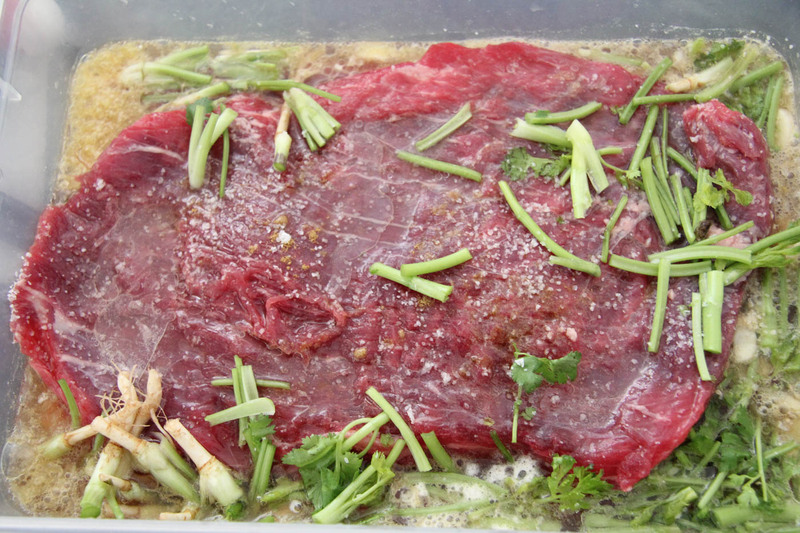 Add in all wet ingredients, cover and put in fridge to marinade from 1-4 hours. Don't leave it longer than this - the beer and fruit juice acid will break down the flesh too much. 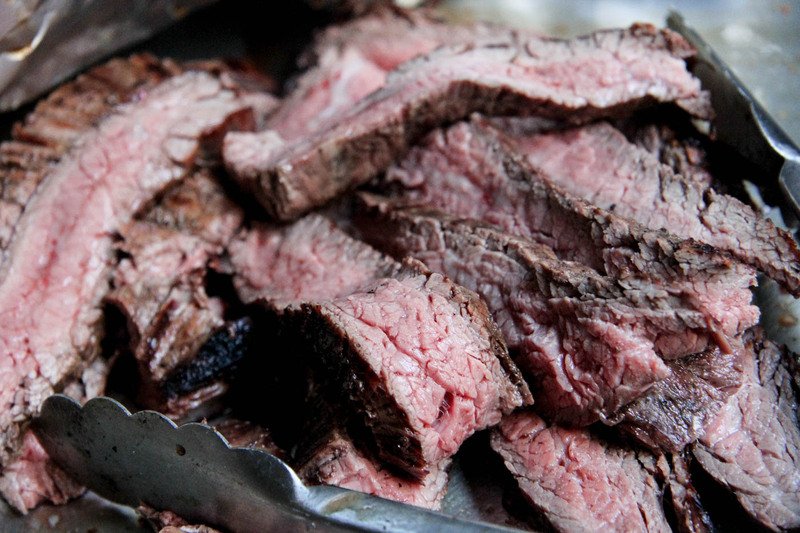 Remove steak from fridge a half hour or so before cooking. 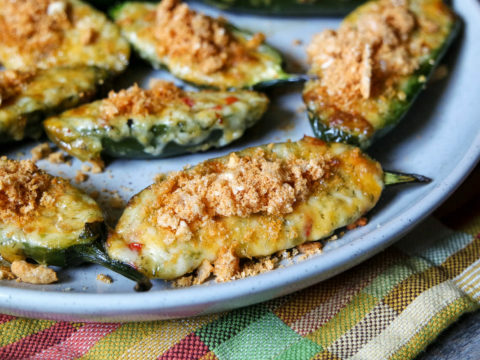 Heat a grill (preferably charcoal) to searingly hot. 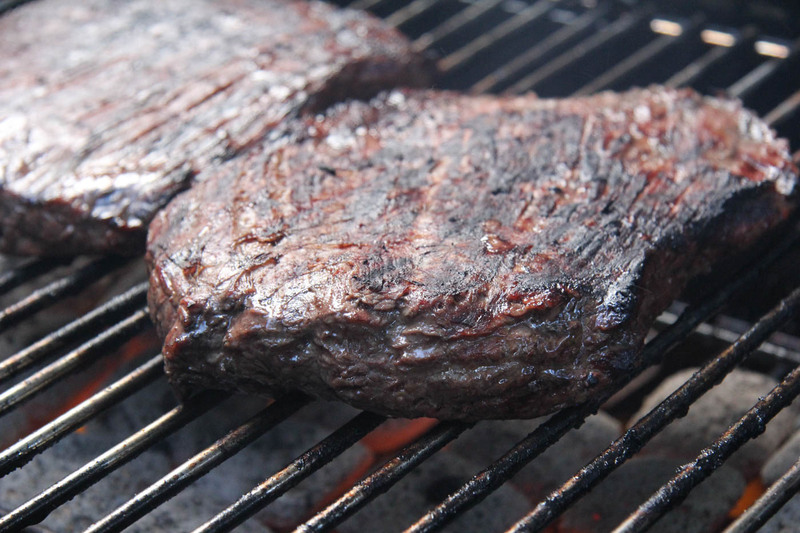 Place steak on grill, brushing off any chunks of garlic or coriander root. Cook flank steak approx 8 minutes each side. Do not cook beyond medium rare. Rest under foil for 10 minutes before slicing and serving.